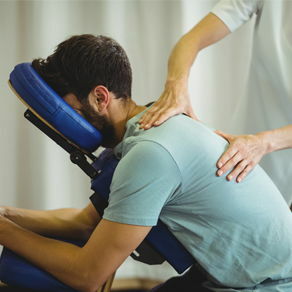 Located in the heart of Shoreview, the health professionals at First Chiropractic are dedicated to helping you achieve your wellness objectives-combining skill and expertise that spans the entire Chiropractic wellness spectrum. Check out our website, meet the team and see for yourself how First Chiropractic has helped thousands of patients with their health care needs since 1985. Dr. Lowell is committed to bringing you better health and wellness by teaching and practicing the true principles of Chiropractic Care, Wellness Care, and providing proven Health and Weight-loss Programs for future healthy lifestyles. "When I decided to become a Chiropractor, I knew I wanted to do more than just relieve painful conditions. Sure, it's rewarding to provide a patient with lasting relief to pain they thought they would have to live with forever, but even more rewarding is the ability to provide a lifetime of optimum health and wellness to my patients." "Dr. Magelssen is so nice. Very easy to talk with, and he listens. He offers a variety of services in his clinic, in addition to chiropractic care, like massage therapy. It's nice to have it all in one stop. Thanks for the good service, Dr. Magelssen!"